A video touting the new online shopping benefit for veterans that stars the former SEAL who penned "Lone Survivor" and the actor who played him in the movie of the same name is on track to become the most-viewed video in the history of the Army and Air Force Exchange Service. 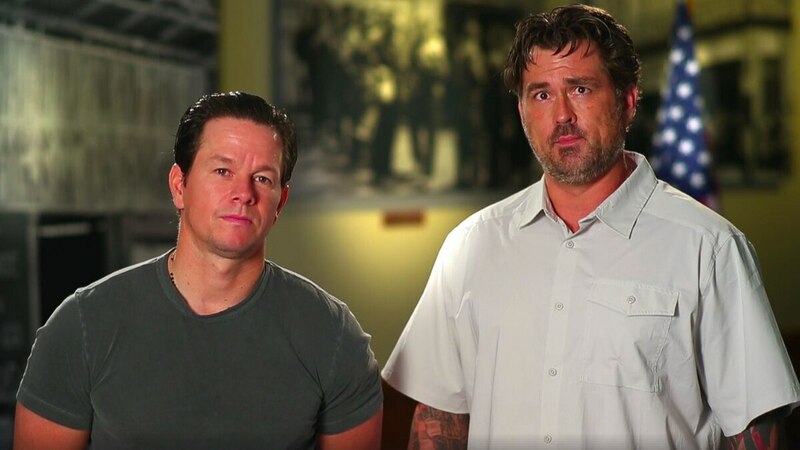 The 30-second production featuring Mark Wahlberg and Marcus Luttrell had been viewed more than 700,000 times on Facebook as of Tuesday morning, and an exchange official says the added attention is having the desired effect. "Traffic intoVetVerify.org [the site that handles verification for the benefit] has spiked significantly since the video posted Friday morning, with 20,124 registrants and 9,638 veterans verified from Friday to Monday," said spokesman Judd Anstey. That's a 60 percent increase in the number of veterans being verified for online shopping last weekend, compared to the previous weekend, when 11,494 people registered and 3,872 were verified. By late Monday, the video had reached 1.3 million people across multiple platforms. The record of 3 million reached is held by a video of basic trainees doing their holiday shopping at the exchange at Lackland Air Force Base, Texas, according to Anstey. Since the verification site was launched June 5, 134,310 people have registered and 60,012 veterans have been verified. AAFES "is grateful for Mark and Marcus taking time out of their busy schedules to do their part to ensure all of our nation’s veterans have the information they need to verify their eligibility to use the newly DoD-approved lifelong military exchange online shopping benefit," Anstey said. The two donated their time, Anstey added. Their message is simple: "The military exchanges are so grateful to continue to be a part of veterans' lives and celebrate their distinguished service beginning Veterans Day 2017," Wahlberg says in the video. "All honorably discharged veterans are encouraged to visit VetVerify.org to confirm eligibility for their lifetime exchange online benefit today. Thank you for your service and welcome home, guys," Luttrell says. Wahlberg adds, off-script, "Thank you for your service, Marcus." Luttrell's2007 book told the story of a 2005 SEAL mission along the Afghanistan-Pakistan border. Wahlberg portrayedLuttrell in the "Lone Survivor" movie, which made about $125 million at the box office and received two Academy Award nominations. The benefit becomes official on Veterans Day, but some veterans are being chosen as "beta testers," and have access to the online stores before Nov. 11. Veterans who register through VetVerify.org will receive notification of their acceptance as eligible online shoppers or, if their records are incomplete, will receive guidance on the steps they can take to update those records. In some cases, those who register are already eligible to shop at the exchanges by virtue of their status as active duty, retired, reserve, Guard and their family members. There are a variety of other reasons why a veteran is not immediately verified in the system. Officials started the verification process early in preparation for at least 13 million people who will be newly eligible to shop online at the exchange. Until now, online, military exchange shopping was available only to active-duty, reserve and National Guard members; retirees; 100 percent disabled veterans; the dependent family members of those individuals; and certain others. Online pricing can be seen only by those who are authorized to shop at the exchange websites, including the beta testers: www.shopmyexchange.com; www.shopcgx.com; www.mymcs.com; and www.mynavyexchange.com.